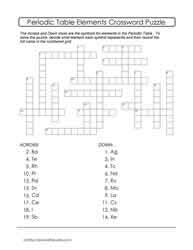 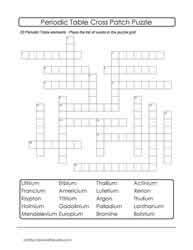 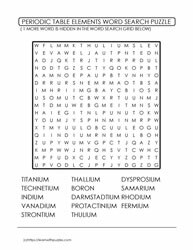 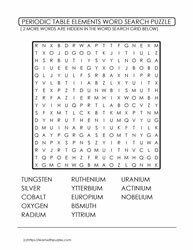 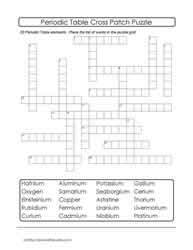 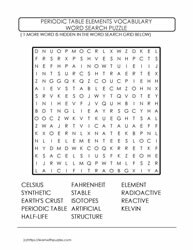 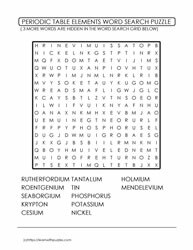 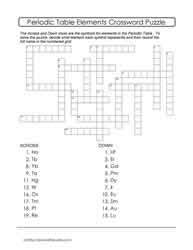 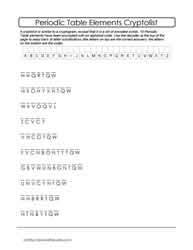 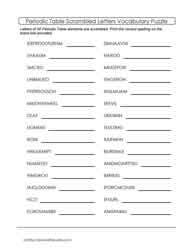 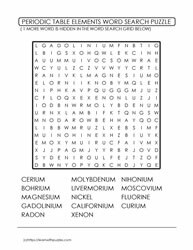 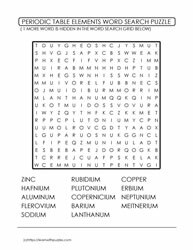 Academic science chemistry and Periodic Table of Elements supported by puzzles: crossword puzzles (using chemical symbols as clues, as well as other clues ranging mental math exercises, to hobby interests, and 'out of the box' thinking), word search puzzles, cryptolist puzzles, both freeform and crosspatch crossword-like puzzles, and scrambled letters (without word banks for greater challenge). 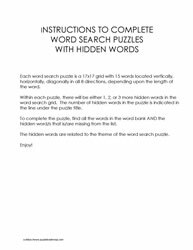 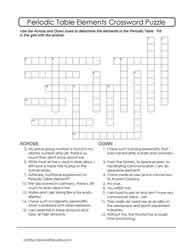 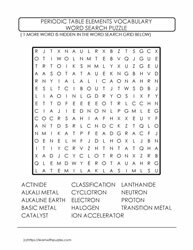 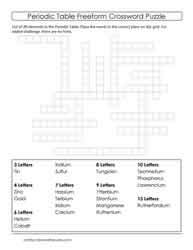 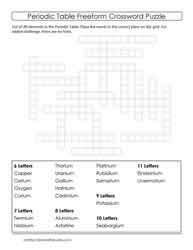 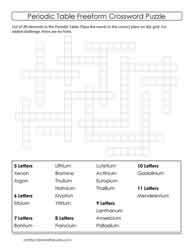 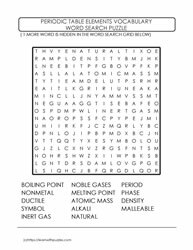 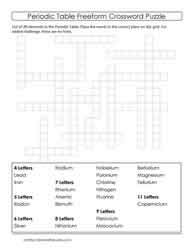 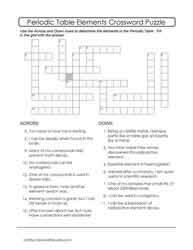 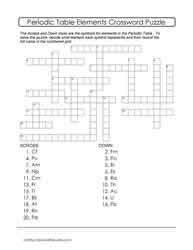 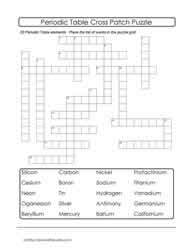 Puzzles support vocabulary building, consolidation of understanding of Periodic Table of Elements, and activate problem solving strategies required to answer the clues. 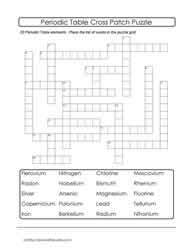 Secondary students in grades 9-12 chemistry classrooms, home schooling environments and as a tutoring resource. 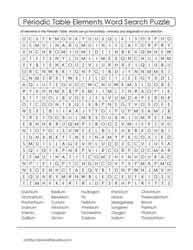 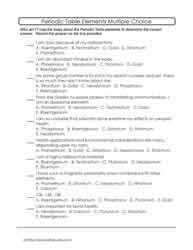 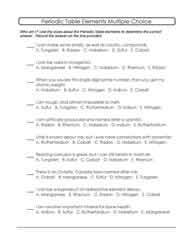 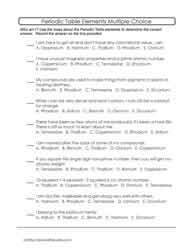 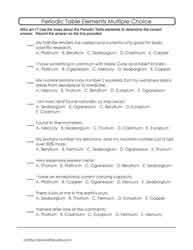 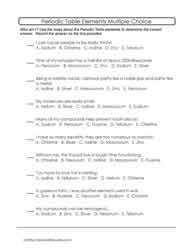 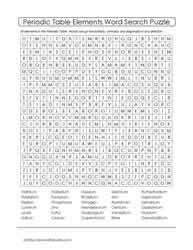 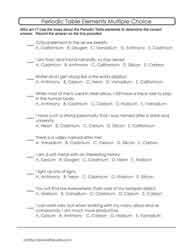 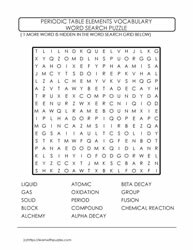 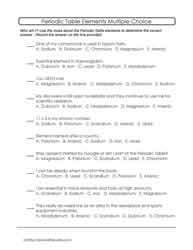 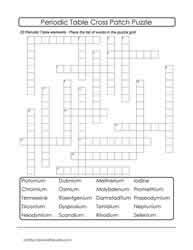 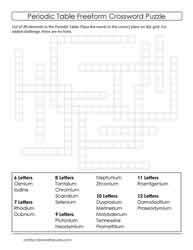 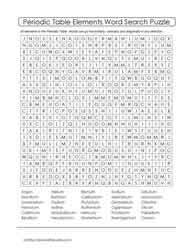 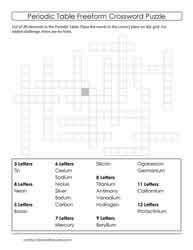 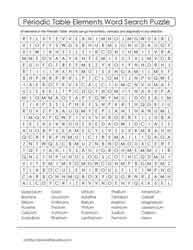 These puzzles are also suited to university level students needing a review of chemistry elements and their symbols.